Just kidding. 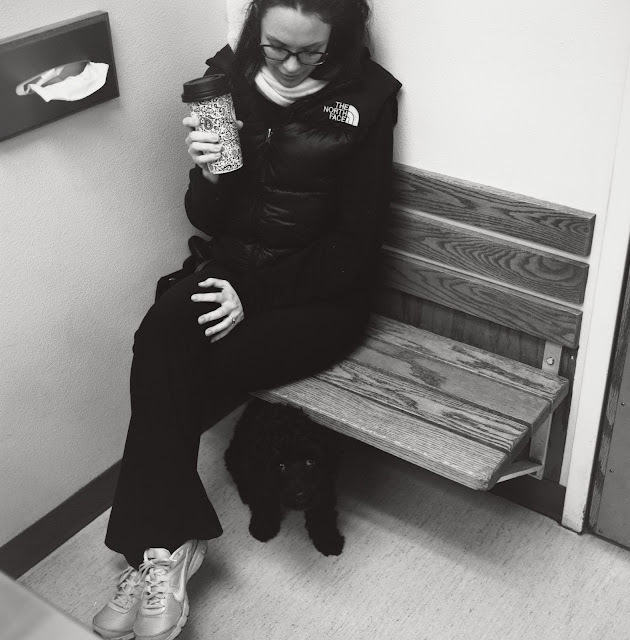 Here we are at the vet-- dog's been having eye problems. Wish him well! Labels: b+w, dog, mamiya, p.